A recent donation of a spare projector has helped 2 charitable organisations to train around 100 volunteers to spot and identify wildlife in their local area. Cumbria Biodiversity Data Centre (CBDC) is at the centre of a network of over 800 volunteers that collect information about plants and animals across Cumbria. The charitable organisation outlined plans to begin training volunteers to spot and identify wildlife in their local area. They made a request via Cumbria Exchange for a projector which was quickly matched by a local business. “This simple, quick and easy act of a local business donating a projector will enable 2 charitable organisations to train around 100 volunteers to spot and identify wildlife in their local area by the end the year” said Deb Muscat, Manager for the CBDC. With modern phones and apps, it has never been easier to identify the things people see in their garden or on their local walks. The training delivered is aimed at ordinary people, getting them to go out and look for their wildlife on their doorstep and then tell CBDC about it. The projector will help them deliver in training in community venues. Courses are scheduled throughout the summer and autumn. Cumbria Biodiversity Data Centre (CBDC) like many organisations is developing new ways of generating income. CBDC is ideally placed to develop wildlife identification training in the county and has recently begun to support National Trust volunteers in Whitehaven and the Cumbria Wildlife Trust volunteers at Eycott Hill nature reserve, as well as developing its own programme on the Solway Plain with the support of a CCF Robin Rigg Grant. 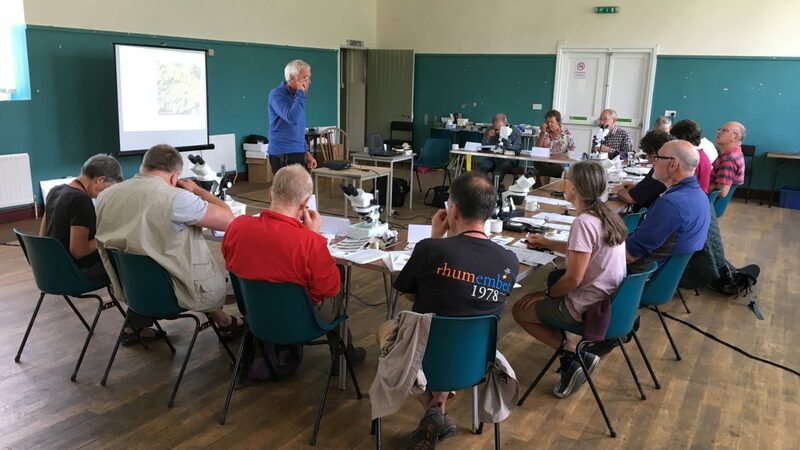 In addition, the projector will be used by a new Plantlife project in Cumbria, based with CBDC, that will be training people to identify rare and important lichens and mosses in the lake district. 30 volunteers will begin their training at the beginning of June.